Are you interested in minerals and collecting them? Are you between the ages of 7 and 12 years old? Perfect! At our children's club you meet other mineral lovers and learn more about minerals and how to collect them. At the „Research expedition“ (Forschungsreise) of terra mineralia you can make your own discoveries and learn about new minerals. Are you curious? Here you will find the calendar of events. We meet on one Monday per month at 3:30 pm. The mineralinos are supported by the "I can do something! "-initiative of the Deutsche Telekom. What is a mineral? What is a mineralino? Quarz, Diamantina, Minas Gerais, Brasilien, 15 x 10,5 x 12 cm, Foto: Jörg Wittig, Dresden. On 16 January at 3.30pm we’re getting going again – terra mineralia’s kids club, the mineralinos, are meeting again for the first time in the new year. Under the aegis of Deutsche Telekom’s Ich kann was! (‘I can do it!’) initiative, the kids club is taking a new direction with improved content. Alongside basic mineralogical and geological knowledge, children will in future gain a deeper introduction to collecting. The initiative’s support means the duration of the monthly meeting can be increased to 90 minutes. 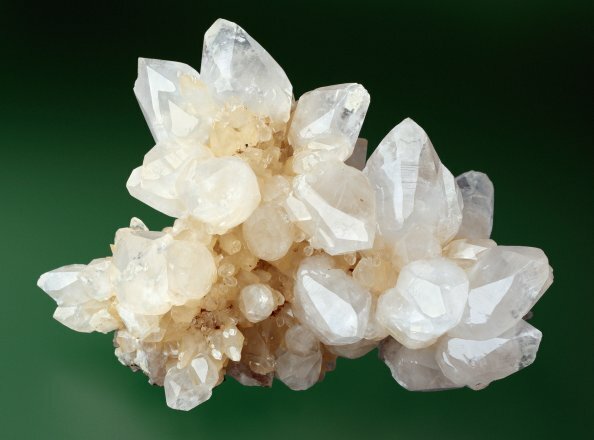 This way, the children will have more time get acquainted with minerals such as quartz and its many colourful varieties, gold, or calcite with its countless different crystal forms. Instead of just one there are now three excursions – collecting agates and panning for gold as well as visiting the Freiberg International Mineral Show are all included on the programme. And our visit to the cutting lab and collecting box construction are also aimed at introducing children really practically to the tools of the trade of a real mineral collector. It all follows in the footsteps of our benefactor, Dr Erika Pohl-Ströher, who assembled one of the largest private mineral collections over a period of 60 years. Ever since 2010, the mineralinos have been offering interested boys and girls from 7 years and upwards the opportunity to learn more about minerals, rocks and collecting. To make joining easier for young collectors who want to take part, we’ll been going over some really basic subject matter on 16 January. The children will get to know each other and their comrades-in-arms; they’ll explore the exhibition; and they’ll learn just what a mineral is exactly. They’ll receive their mineralinos pass along with a collector’s book that they can enter their mineral descriptions in. The meetings will be hosted by two young graduates of the Bergakademie, a mineralogist and a chemist, who’ve both been impassioned mineral collectors for many years themselves. The Ich kann was! initiative was set up by staff at Deutsche Telekom. It supports programmes and activities that help young people to discover and develop their potential and to put it to use in their everyday lives, actively and self-confidently participating in the life of society. Once a year, the initiative invites applications from across the country for financial sponsorship of projects and facilities. This year, the seventh thus far, more than 700 applications were received. 207 projects were chosen from all over Germany. The mineralinos meet at the terra mineralia ticket office in Freudenstein Castle. For more information, please contact the Info Desk on 03731 394654 or fuehrungen@terra-mineralia.de. Places for children are free. Bread comes from the baker, sausages from the butcher and presents from Santa Claus. But where do minerals come from? The ‘mineralinos’ of the terra mineralia kids’ club will find out on Monday, 6 February from 3.30pm. A world without minerals is unthinkable. They serve not only as raw materials, without which our modern civilisation would be impossible, but they also form the ground beneath our feet. Several theories even link them directly to the development of life itself. Without a doubt, they can also be found in the human body. No matter what, we’re constantly surrounded by minerals. The mineralinos will find out how they came to be, and whether new minerals are still being formed. We’ll also explain how you recognise minerals, and how you can identify them correctly, based on their properties. The mineralinos meet at the terra mineralia ticket office at Freudenstein Castle. For more information, please contact the Info Desk on 03731 394654 or at fuehrungen@terra-mineralia.de. Participation is free. What do concrete, solar cells and clocks have in common? To make them, you need quartz. It has plenty of other uses, too. 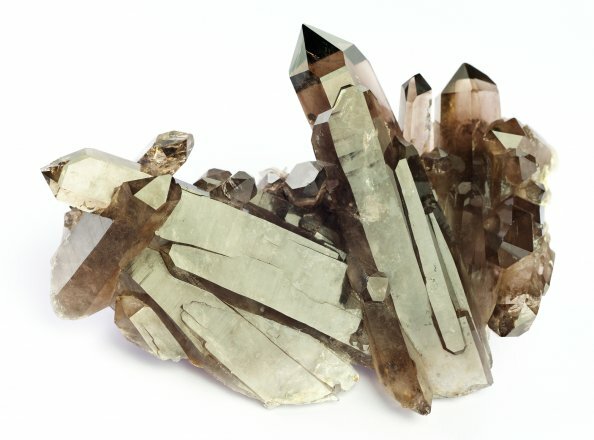 That’s why the ‘mineralinos’ from the terra mineralia kids’ club will be taking a look at the mineral quartz on Monday, 6 March from 3.30pm. Nearly everyone has come into close contact with quartz at some point, whether in the sandpit or on holiday at the seaside. This is because sand is normally made mostly of this mineral. But it isn’t just for building sandcastles or making flowing fabrics; quartz is also an important material, for both the manufacturing and building materials industries. Specific properties make quartz perfect for a variety of uses. 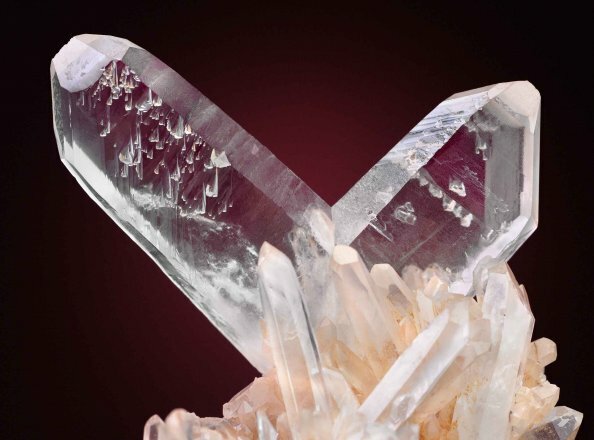 If you take time to study quartz, you will also learn to recognise it. But it’s not all that easy, because quartz can take on various colours: almost anything is possible, from colourless rock crystal and violet amethyst to black morion. By the way, these coloured quartzes are also commonly used as gemstones. Quarz auf Hämatit, Jinlong, Guangdong, China, 9 x 5,5 cm, Foto: Jörg Wittig, Dresden. On Saturday, 25 March 2017 at 9.30am we’d like to go on an excursion with the mineralinos children. This year, we’re travelling to Süßenbach near Weißenborn to look for agates. Without these items, your child will not be allowed to take part in the excursion. 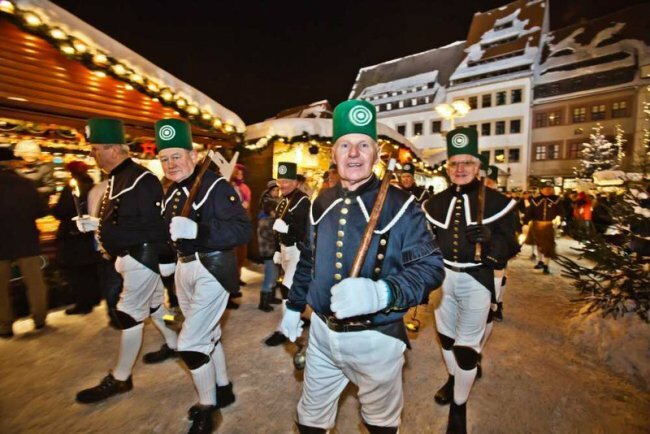 Herr Fandrich, an older, experienced mineral collector and member of the Freiberger Mineralienfreunde e. V. (Freiberg Mineral Friends) society, will be leading the excursion. He’ll be supported by the mineralinos hosts, Michael Gäbelein (mineralogist) und Martin Reiber (chemist). Both are equally passionate mineral collectors. As a parent, you’re welcome to take part in the excursion and assist your child. Please let your child know that they need to follow the hosts’ instructions precisely. The number of participants is limited to 20 children. Taking part in the excursion is free. Please register your child at the terra mineralia Info Desk (tel. 03731 394654, email fuehrungen@terra-mineralia.de) by Wednesday, 22 March 2017. Please leave your phone number, email and postal address. We need your details so we can get in touch with you in the case of bad weather, and to arrange lift-sharing. We’re off to the cutting lab! If you find agates out in the field yourself, they look really unremarkable. It takes razor sharp diamond saws and cutters to reveal their secrets. At their next session on Monday, 3 April at 3.30pm, the mineralinos – the members of terra mineralia’s kids club – will be learning how, with lots of love and patience, the stones’ beauty is uncovered. First, the specimens discovered on the last excursion to Süßenbach will be sawed and cut in the Helmholtz Institute Freiberg for Resource Technology. The children will then take on the finishing themselves at terra mineralia. Finally, so that the unique shapes can be appreciated to their fullest extent, the agates are polished until they really shine. It’s only after this process that the unspectacular specimens show their many and varied vivid colours and fantastical shapes. And every agate is different – no two agate stones are the same. Afterwards, the children will learn which kinds of quartz are responsible for the colourful patterns. The mineralinos meet at the terra mineralia ticket office in Freudenstein Castle. For more information, please contact the Info Desk on 03731 394654 or fuehrungen@terra-mineralia.de. Sessions are free to join. Collecting, swapping, buying – How can I develop my personal collection? What do mineral collectors do when they’re not off busy searching for minerals? That’s right! They clean and sort their minerals until every specimen is in just the right place. But at some point you always run out of room in your drawers, and then what? At their next meeting on Monday, 8 May at 3.30pm, the mineralinos – the terra mineralia kids club – will be looking at the whole topic of developing and sorting your own personal collection. If you just collect everything at random, you’ll soon have chaos in your drawers. But if you look a little closer, you’ll suddenly find particular colours, shapes or sites that recur. You can use these to develop a really professional collection and to inform focussed searches for new specimens to add to it. Because the better you know your favourite minerals, the easier it is to trade and, above all, swap. At this meeting, we’ll give the mineralinos tips and tricks on how to do this. Real collections are constantly growing and changing. But how can you get new specimens for a collection, and from where, without using up all of your pocket money? 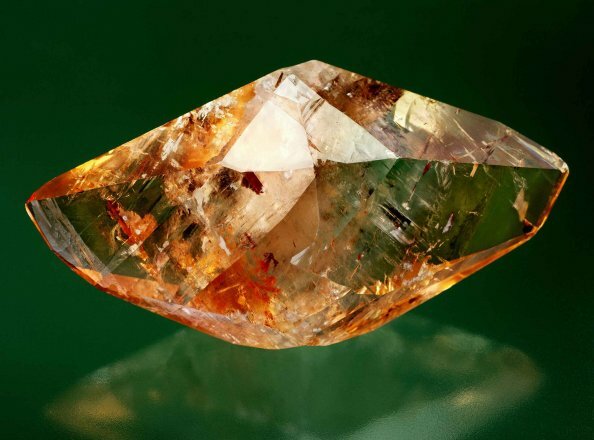 This is what the mineralinos – the children from terra mineralia’s kids club – will be learning on Saturday, 13 May from 9am at the Freiberg International Mineral Show. The Freiberg International Mineral Show is one of a number of shows in Germany where collectors both young and old meet to share their experiences, buy new specimens, or swap them. Because no mineral collector can – or wants to – keep all of the specimens they’ve found or bought forever. At the show, the mineralinos can try out some of the tips from the last session and make contacts with other collectors. The newest finds from across the world are available to view here. The mineralinos will also learn about minerals from Tsumeb at the special exhibition. The mineralinos will meet at the Freiberg International Mineral Show at the entrance to the Heubner-Halle. For more information, please contact the Info Desk on 03731 394654 or fuehrungen@terra-mineralia.de. Sessions are free. What next with my minerals? So many treasures and all of them belong in the spotlight! But there are a couple of things you need to bear to mind when it comes to looking after your minerals. Some minerals don’t cope well with sunlight and dust. This is why the mineralinos, the terra mineralia’s kids club, will be having a go at building their own mineral showcase on Monday, 12 June at 3.30pm. There are loads of options for housing your minerals. But what should the mineralinos bear in mind in order to present the treasures they’ve collected as beautifully as possible? If all of the specimens are simply laid out higgledy-piggledy on a board, a visitor may perhaps not be able to see at all how special your collection is. So, together with the hosts, the children will take a careful look in terra mineralia’s own display cabinets. But not so much to admire the minerals as to see how they’re presented. They’ll also investigate how delicate minerals can be kept secure, and what you can use to help set them out. In the process, the children will also get to know the most important rules for storing minerals so that they can also enjoy their own collection at home in their new cases for a long time to come. My holiday finds: What have I found? They might be the best time of year, but even the summer holidays have to come to an end sometime. But for the mineralinos, their finds still remain. 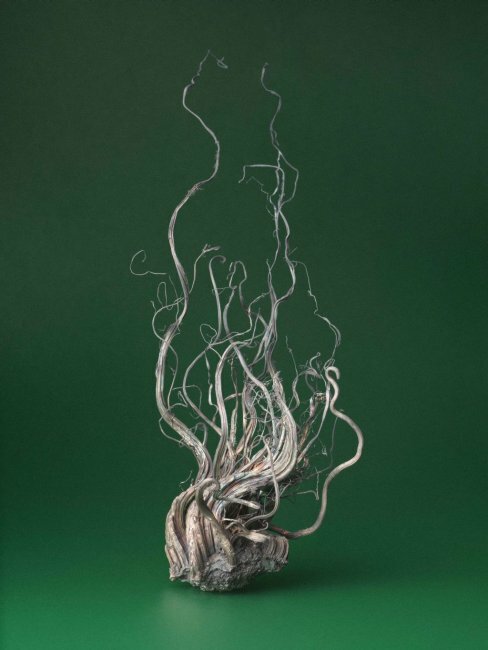 They may have come from a beach on the Baltic coast, from the top of a mountain somewhere in the Alps, or even from faraway lands on other continents. There are awesome minerals to be found all over the world, but a lot of the mineralinos will be asking themselves just what it is they’ve found. This is why, on Monday 14 August at 3.30pm the mineralinos from terra mineralia’s kids club will be working on identifying all of the different holiday finds from across the globe, whether big, small, colourful or downright crazy. Under our direction, the boys and girls from the mineralinos will identify their finds together using simple mineralogical methods, recording them and learning fascinating facts about them. They’ll also have the opportunity to show others their holiday finds – because there’s sure to be an exciting story behind every one of the items. On top of this, the mineralinos will learn what to look out for when it comes to finds from other countries and avoid any unwelcome surprises at the airport. The mineralinos will also be able to use a range of media and sources to check whether the site of their find really is the right one. Comparing your finds with those of other collectors, perhaps even from the same location, using public databases such as Mineralienatlas or Mindat.org is really helpful here. This way you can also retrospectively research various geological features that might hold out the promise of even better finds on your next holiday. For really keen collectors who may even have double specimens or too many of a certain mineral at home, we’ll also have a small mineral exchange. This gives you both the opportunity to learn about other children’s finds, but most of all the chance to broaden your collection by swapping and haggling just like you would at the Freiberg International Mineral Show. The mineralinos meet at the terra mineralia ticket office in Freudenstein Castle. Sessions are free. For more information, please contact the Info Desk on 03731 394654 or fuehrungen@terra-mineralia.de. On Saturday 26 August 2017 at 9.30am, we plan to go on our third field trip with the mineralinos children. Our destination for this summer excursion is the Pitzschebach near Siebenlehn. We’re going to take the children panning for gold! In case we need to postpone the event due to inclement weather, we’ve reserved Saturday 9 September as an alternative date. Without these items, your child cannot take part in the trip. 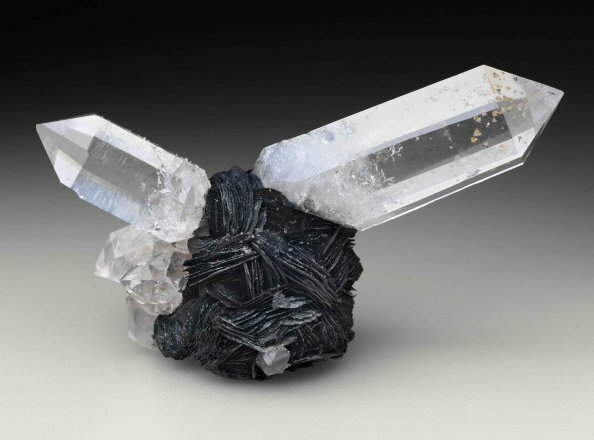 The field trip will be led by Michael Gäbelein, a mineralogist and leader of the mineralinos, together with Christina Seifert, terra mineralia’s educational director. They’ll be supported by Silke Strohbach, a hobby gold-panner who will demonstrate the technique of gold panning and explain it to the children. Parents are also welcome to join the field trip and assist their child. Please let your child know that they will need to follow the trip leader’s instructions precisely. Spaces are limited to 20 children. Taking part in the trip is free. Please register your child with the terra mineralia Info Desk (either by phone on 03731 394654, or by email to fuehrungen@terra-mineralia.de) by Wednesday, 24 August 2017. Please leave your phone number, email and postal address. We need your details so we can get in touch with you in case of inclement weather. Are there simple methods for distinguishing genuine from counterfeit gold? This is what the mineralinos in terra mineralia’s kids club will be learning at their next meeting on Monday, 4 September at 3.30pm. To begin with, we’ll take a look together at the results of our gold panning from the last field trip and examine our finds under the microscope. But this raises the question, of course, of how you can actually recognise gold. Plenty of people love the colour and lustre of this precious metal. But what are the characteristic properties of gold that allow it to be distinguished from its notorious cousin, fool’s gold? On top of this, the boys and girls from the mineralinos will also learn how and where gold is formed. It is only with this knowledge that geologists or chemists can find it. Sometimes, however, gold is distributed in a rock so finely that you don’t even recognise it at first sight. We’ll also be explaining the exciting journey from gold-rich ore to gold bars. Finally, the children will also learn that gold isn’t only needed for jewellery, but that there wouldn’t be any smartphones or other similar technology without gold. The mineralinos meet at the terra mineralia ticket office in Freudenstein Castle. Sessions are free. For more information, please contact the Info Desk on 03731/394654 or at fuehrungen@terra-mineralia.de. What do calc spar, tiff and calcareous spar have in common? Hard to believe, but they’re all names for the one and the same mineral – calcite! It’s a mineral that occurs in a huge variety of forms and amazing colours. Where do all these names come from, and what other exciting stuff is there to discover about the mineral calcite? That’s what the mineralinos – the kids at terra mineralia’s kids club – will be learning next time they meet on Monday 16 October at 3.30pm. How do geologists identify the mineral in the field? 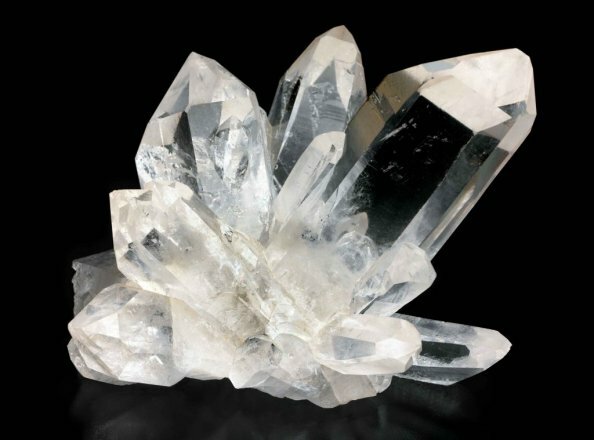 Our budding mineralogists will get to know all of calcite’s major properties and how to simply identify them. They’ll also go on a ‘calcareous’ tour of the globe through our exhibition to discover the various colours and forms of calcite from distant continents. A quick look at the natural world reveals that animals form their scales out of calcite as well. 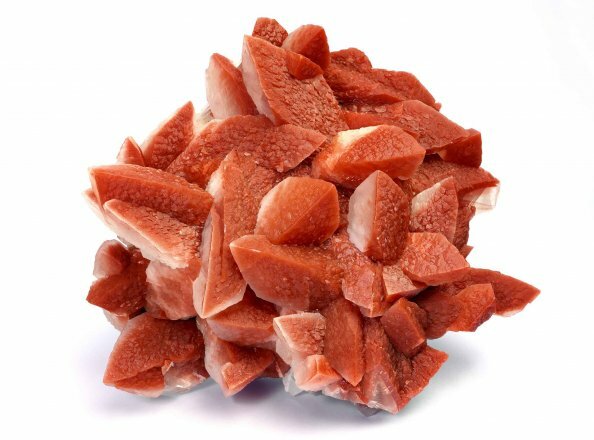 And the mineralinos will love finding out what happens to calcite when it’s subjected to enormous pressures in the depths of the earth. But calcite isn’t just beautiful to look at, it also holds together every modern house in the world. As well as being used for mortar, there are a whole range of other uses to discover. Once upon a time, it even helped the Vikings find their way to America. Just how this works is something the girls and boys will discover for themselves at our next meeting. The mineralinos meet at the terra mineralia ticket office in Freudenstein Castle. For more information, please contact the Info Desk on 03731/394654 or fuehrungen@terra-mineralia.de. Sessions are free. 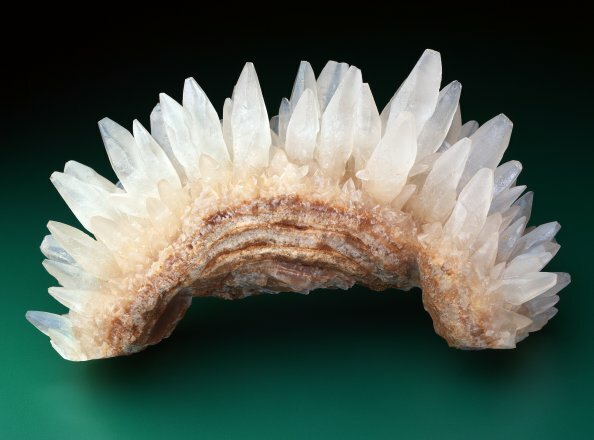 Calcite (contains copper), Tsumeb, Otjikoto, Otavi Mountain, 18 x 9 cm, Photo: Jörg Wittig, Dresden. Calcite, Dalnegorsk, Primorskij Kraj, Far East, Russia, 14 x 10,5 cm, Photograph: Jörg Wittig, Dresden. Calcit, Huangpolong, Hunan, China, 26 x 25 cm, Foto: Jörg Wittig, Dresden. Calcit, Elmwood Mine, Carthage, Tennessee, USA, Foto: Jörg Wittig, Dresden. 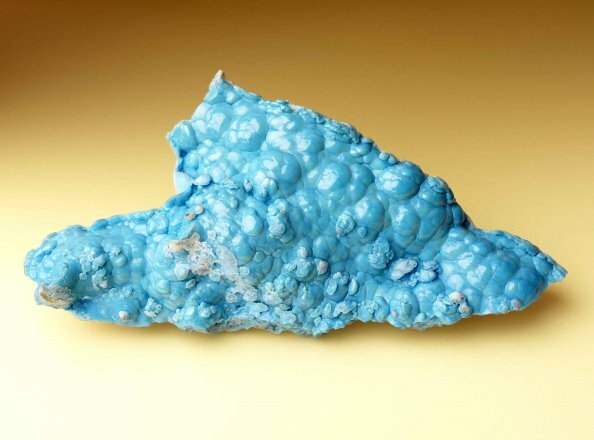 Calcit, Wenshan Mine, Yunnan, China, 16,5 x 10 cm, Kristallgröße bis 4,7 cm; Foto: Jörg Wittig, Dresden. Why are the Ore Mountains called the Ore Mountains? Freiberg, sitting at the foot of the Ore Mountains, has something to do with that, too. People were able to extract all sorts of valuable and useful metals from ore. But which were the minerals that showed the miners of old where they should mine? This – and much more besides – is what the mineralinos from terra mineralia’s kids club will be learning at their next meeting on Monday 6 November at 3.30pm. In the year 1168 two merchants from the Mansfeld Land region happened upon a fantastic discovery in Freiberg that was to alter an entire landscape – they found silver. Mining fever had begun! Galena, zinc blende, ruby jack, shard cobalt, pitchblende and ruby silver. What are the minerals with all of these fantastic names? As they solve this riddle, the mineralinos will find out which precious and important metals are contained in these minerals extracted by the miners all those centuries ago. Why is fluorspar called fluorspar, and is heavy spar actually heavy? Both minerals play an important role in industry still today, and have been extracted at a new mine here in Saxony since 2013. The Ore Mountains still hold a few treasures that may be mined in future. A year full of new minerals and field trips is drawing to an end. Without mining in Saxony, there’d be no Freudenstein Castle in Freiberg and no one would get a chance to see the beautiful minerals in terra mineralia. ‘Glück auf!’, ‘Schicht im Schacht’ –our language retains numerous mining expressionsto this day. For our last meeting before Christmas, the mineralinos – terra mineralia’s kids club – will be joining together for mineralino holiday season festivities on Monday 4 December at 3.30pm. At this session, we’ll be hearing exciting stories about mining in Saxony. Through the stories, the mineralinos will learn about the different mining eras, professions and customs. If a miner didn’t behave in the gallery, there were all kinds of punishments! But which punishment went with which crime? Schwibbögen and scented candles – classic Christmas decorations in the Ore Mountains – also have their origin in mining. The reason for this – and which other customs we still have that date from the mining days – is what the mineralinos will be discovering during this last session before Christmas. Lebkuchen and child-friendly punch will also be provided. As we chat about the year together, there’ll be plenty of opportunity to swap and identify specimens as well, of course. And we’re keen to hear ideas for field trips in the new year, too. The mineralinos meet at the terra mineralia ticket office in Freudenstein Castle. For more information, please contact the Info Desk on 03731/394654 or fuehrungen@terra-mineralia.de. Sessions are free to join.